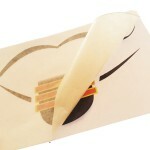 Vinyl is cut according to the desired design, then assembled using the transfer tape which is peeled from the design when the decal is in place, only the cut vinyl remains. 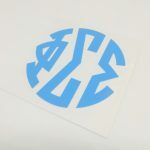 Available colored vinyls, mainly used for vehicle graphics, window decals, wall decoration, and more. 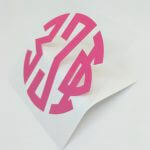 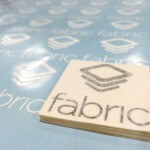 We can also print exactly the color / design you want on white / transparent vinyl and then cut it out the same way. 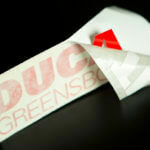 Advantageous prices from low to high volume, rated for 10 year outdoor use.